Rear Admiral John W. Bitoff, working closely and primarily with his staff JAG officer, Timothy William Zeller, began an unceasing flogging of me and what once was my family in 1989. Bitoff and Zeller swore out false changes and advanced them against me in a court-martial that both men completely controlled and manipulated. Bitoff and Zeller assigned co-worker staff officers into the court-martial panel to ensure and repeat a guilty verdict Bitoff had already clandestinely ordered. Bitoff and Zeller knew these officers to be hostile in their intent toward me, officers who had engaged with me in severely acrimonious arguments regarding administrative and operational matters attendant to the USS MARS (AFS–1), to which I was assigned as the executive officer in that afloat command. One officer sitting on my court-martial panel, Lieutenant Commander Steve Letchworth, was a prominent player in Bitoff’s star-chamber court-martial. Without my knowledge, Bitoff and Zeller hand-picked my defense attorney, an officer on the Judge Advocate General Corps named Kevin Martis “Andy” Anderson. Anderson held the grade of captain, United States Marine Corps. Anderson, another key figure in the rigged disciplinary hearing, worked closely with Bitoff and Zeller behind my back. The court-martial hearing ran from 2–5 April 1990. Zeller wrote and Bitoff signed out a letter of reprimand dated 7 June 1990. I discovered the forgery in July or August of 1992. I reported the forgery immediately to appropriate law enforcement authorities at the time, and ever since. The forgery was widely reported to the Navy Secretary, Navy Judge Advocate General Rick Grant, and throughout a wide width of Navy commands and senior military governors. As Bitoff’s villainous, rigged court-martial was becoming a matter of focused attention in 1993 and 1994, you personally used the “confession,” as Bitoff, Zeller and Anderson intended, to deflect, if not outright quash, any directed inspection of my court-martial. The Navy, as I’m sure you’ll remember, was already suffering from thousands of pounds per square inch of pressure from the Tailhook scandal, the turret #2 explosion aboard USS IOWA and from other senior leadership failures, some of which were criminal in nature. On 28 April 1994, you used the forged confession as Bitoff, Zeller and Anderson wanted it to be used…that is, as my confession. Passing off a known forgery as an authentic document is just as much a crime of forgery as, in this instance specifically, that moment in which Captain Anderson fumbled in applying my name to the letter of reprimand response. There were so many other lies you joined with Bitoff & Company in repeating. CNO Mike Boorda, VCNO Stan Arthur and Navy TJAG Grant were right there with you, criminals in command, command racketeers shoulder-to-shoulder. You continue to work in conspiracy with so many others to maintain a wrongful federal conviction on my back undisturbed. Incumbents CNO Greenert and Navy-Marine Corps TJAG DeRenzi are amongst your criminal clique. You, sir, are a criminal and a liar. Still the flogging, the scourge never ends. Consider carefully, on this Constitution Day, as you read this, the damage and destruction you and others have wrought upon our Constitution in violent disobedience and perjury to your oaths. For you and me, it’s a day of reckoning. It’s a day for confrontation! I’m calling you out. It’s time to engage. I’ve come to learn firsthand how greed for rank and power propels and justifies the whipping beatings of subordinates. I can report in the first person how arrogance, avarice for rank and power, and pride serve as an antidote for shame. President Fillmore abolished the practice of flogging in the Army and Navy 163 years ago on 28 September 1850, but you give the best evidence that the inhumane practice is alive and well in America today. As I look up through blood, sweat and tears, I see you plainly standing there, smiling, a cat-of-nine-tails held in your hand resting between successive beatings now ranging over a course of nearly the past quarter-century. This is about a matter of accountability, sir. This is personal. Very deeply personal. So knock yourself out. BE PROUD AS YOU CAN BE! You’re offered here a chance to show off with your admiral and general colleagues just to what levels of arrogance, obnoxiousness, and outlawry you’re able to ascend. Your secret written work was to be relied upon as a foundation in further public utterances made to media reporters which Grant and you feared were paying closer and closer attention to the common practice of flag officers controlling and rigging federal military disciplinary hearings commonly known as courts-martial. In the memo, Grant and you drew heavily upon work product that came from just such a rigged court-martial, the court-martial Rear Admiral John Bitoff and his staff officers created, conducted and controlled in 1989-1990. The court-martial we’re talking about is mine. Press overtures regarding the conduct of military discipline hearings had become more and more aggressive in the wake of the Tailhook scandal wherein 35 flag officers were involved, but no courts-martial resulted. When Bitoff’s court-martial showed itself on the horizon in early 1994, threatening to come more clearly in view, Grant and you moved quickly to neutralize the sort of disclosures you both knew were lurking. One disclosure lurking was a bogus confession bearing an attempted simulation of my name. Another revelation sinisterly loitering about was the participation of Steve Letchworth on my court-martial panel. Then there came home to roost the Zeller-Bitoff 1989 turkey waddling about and squawking loudly, unable to fly away. Bob Kihune, David Bennett, Richard Steward and Glenn Gonzalez took care of the early and heavy shovel-ready work. The four men buried Letchworth alive down deep. Then the four men axed off the head of the turkey, plucked it, cooked it and feasted while the meat was warm. In April 1994 Grant and you were handed the frozen cold leftovers. The Zlatoper-Grant policy memo to Mike Boorda and Stan Arthur relied upon Steve Letchworth and the Bitoff-Zeller turkey remaining safely dead and buried. Arrogance and pride blinded all of you to the fact that even cold (and cold-blooded) murder cases can leave behind enough proofs and evidences leading to satisfactory resolution. Arrogance and pride are powerful and dangerous emotions. Driving this observation home, indulge me as I briefly recount why Bitoff had me court-martialed. You play a personal and crucial role in these matters presently. It’s important that we both understand each other and engage. The terrorist group November 17 assassinated Navy Captain William Edward Nordeen in a vicious car bomb attack in Athens, Greece on 28 June 1988. My commanding officer on the USS MARS at the time was Michael Brent Nordeen. Bill and Mike Nordeen are brothers. Bitoff personally accused me of stealing MWR monies used to send a continent of the USS MARS family to the funeral of Navy Captain William Edward Nordeen. John Bitoff was an arrogant and prideful man. My court-martial was the product of Bitoff’s unstable emotional vendetta. Bitoff’s accusations against me regarding Morale, Welfare and Recreation funds about USS MARS (AFS – 1) were ridiculous. Bitoff had been a Bill Crowe protégé for many years. Bitoff was every bit the political animal Crowe was. Bitoff served under Crowe in three different assignments as his “Number 1,” either executive officer or executive assistant. Bitoff forced me out of the naval service because of my character. Plain and direct. I was one of those guys who was standing in the room shouting “NO!” Bitoff used the court-martial process to punish me, using me as an object lesson throughout the fleet. So did you! So did others in the admirals and generals’ club! One-star Rear Admiral John W. Bitoff aggressively engaged in my character assassination using a court-martial process that runs from 1 September 1989 to this very day. I knew at the very beginning that John Bitoff’s actions were in service to a malicious vendetta. I told Bitoff I knew his was a “kangaroo court,” immoral, malicious, unfair and a stark demonstration of poor leadership. I’ve not stopped telling people in the succeeding twenty-four years. I persevere. I persist. 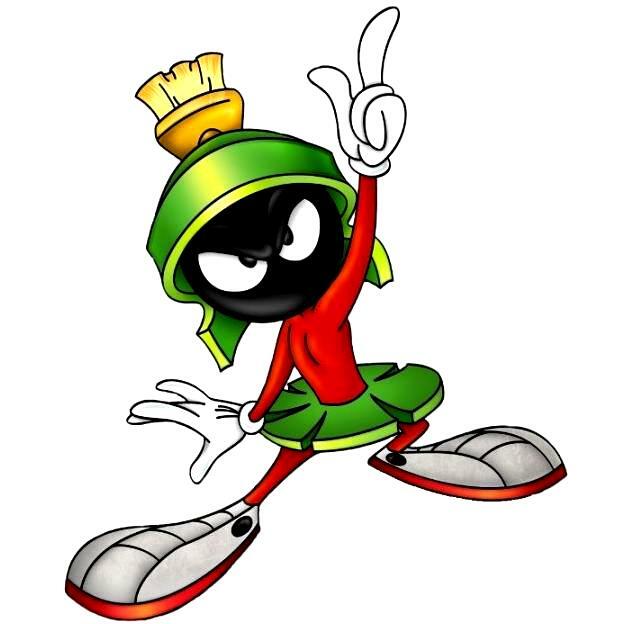 I point to four men who are primarily, as I describe them, criminals in command or command racketeers. The four men are Rear Admiral Bitoff (former commander, Combat Logistics Group 1), Bitoff’s staff JAG, Timothy William Zeller (then in the grade of Lieutenant, since promoting to full commander), former Captain of Marines Kevin Martis “Andy” Anderson, the man who Bitoff hand-picked as my defense counsel, and two-star Rear Admiral Harold Eric “Rick” Grant, former Judge Advocate General to the Navy and Marine Corps. Bitoff, Zeller and Grant are all in retirement. Anderson left the Marine Corps in the early ‘90s and is currently a senior deputy prosecuting attorney for the County of Kitsap, Washington State. Bitoff, Zeller and Anderson are chief engineers to the illicit court-martial proper. Grant is more culpable and more responsible than any other uniformed or civilian military governor in covering up what’s become the most reviewed, most troublesome and most talked-about court-martial in American history. 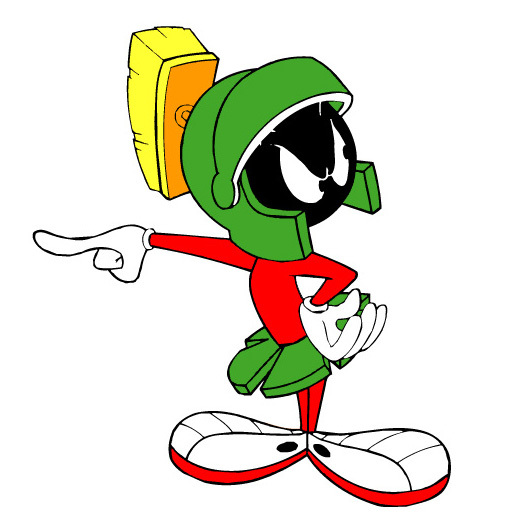 There remains no question whatsoever that my court-martial was rigged from stem to stern. Bitoff, Zeller, Anderson and Grant are now irrefutably caught in their villainous expedition. What stands out as the salient criminal act in Bitoff’s outlawry is a criminal instrument bearing my forged and misspelled name. It is a 17 July 1990 response to Bitoff’s 7 June 1990 letter of reprimand to me. I discovered the Bitoff-Zeller forgery sometime in July or August 1992, about two years before your April 1994 missive to Boorda and Arthur. I reported the bogus writing immediately as a criminal act targeting me. At first I thought Bitoff’s staff JAG Zeller was the culprit who put pen to paper under Bitoff’s command. 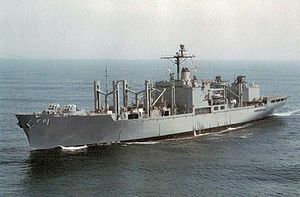 Suspicions regarding Bitoff and Zeller’s criminality were confirmed and heightened one year later when on 2 July 1993, a first-class petty officer legalman assigned to the Oakland-based supply ship staff dropped a dime on both men. Zeller’s holiday note to Bitoff was the first of a flurry of outrageously illegal correspondences and conversations carried out behind their curtain. Zeller’s memos added to the still-growing body of evidence incriminating Bitoff, Anderson, Grant, Zeller himself and their protectors. Running parallel to growing evidence regarding Bitoff’s rigged court-martial was Derek Vander Schaaf’s report about the criminal expedition involving tens of Navy-Marine Corps flag officers, other senior military governors and lesser-ranking civilian and uniformed officers. In mid-April 1993, delayed for months awaiting a new Navy Secretary, Vander Schaaf released an inch-thick report about the Navy’s “Tailhook” scandal, recognized as the most serious in decades. Vander Schaaf publicly reported that 51 Navy officers lied to Defense Department investigators and that “several hundred” others actively obstructed the investigation. The report named the 35 admirals and generals in wrongdoing. Vander Schaaf commiserated about the extraordinary “stonewalling” he’d encountered during his investigation. My report followed on 23 September 1993. My 17-page criminal complaint was filed with Navy Secretary John Dalton, Admiral Charles Larson as Commander, Pacific Command; Vice Admiral David Robinson as Commander, Naval Surface Forces Pacific Fleet; Rear Admiral Vern Clark as Commander, Cruiser Destroyer 3; Rear Admiral Merrill Wythe Ruck as Commander, Naval Base, San Francisco and Commander, Combat Logistics Group 1; Captain John Payne, my skipper in USS CARL VINSON, and my Executive Officer, Captain Robert “Rat” Willard. My report was also hand-delivered to NCIS Special Agent Mark Sakrada, special agent in charge at the NCIS office collocated with headquarters Commander Naval Base San Francisco aboard Naval Station Treasure Island. Senior naval officers thwarted any attempts to publicly release Zeller’s 1989 Thanksgiving Day missive to Bitoff for fully a year. The requests for release made by Washington State Rep. Norm Dicks and Senator Patty Murray were denied. 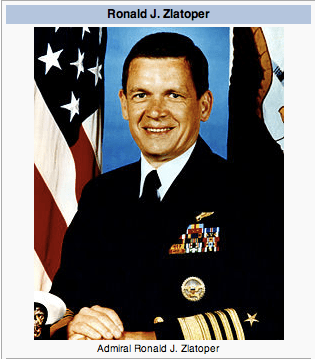 At the same moment in time, four-star Admiral Frank B. Kelso moved up his retirement date under ever-increasing pressures due to an unceasing torrent of disclosures regarding the outrageous and alleged criminal conduct of 35 admirals and generals at the September 1991 Las Vegas “Tailhook” convention that included accusations naming Kelso personally. Not missed by any observer was that the military discipline system, the court-martial system, under tight control as a function of command, did not touch any of the “Tailhook”-connected flag officer involvement and criminal misconduct. It was in this environment, in the immediate aftermath of Tailhook, that the interest of renowned military correspondent and reporter Ed Offley was drawn and piqued regarding my case. The document record, seen and unseen, giving evidence of Rear Admiral John Bitoff’s criminal escapades, was overwhelming. Ed and I began a series of regular interview meetings and phone conversations whereupon I laid out the document record as it existed and was expanding at that time. Into this environment you eventually showed up. Not yet in physical possession of Zeller’s incriminating 1989 Thanksgiving Day memo, there was the daily increasing and already immense collection of documentary evidence amassed proving Bitoff’s command racketeering in cooperation with Navy TJAG Rick Grant. With Tailhook still a burning issue in the press, Congressman Norm Dicks wrote to Navy Secretary John Dalton on 10 January 1994 requesting Dalton personally examine my proofs and evidences regarding Bitoff & Company’s outlaw rampages in the exercise of command influence. Norm Dicks called for reinforcements. 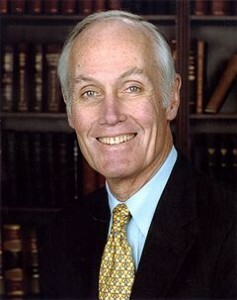 Senior U.S. senator in 1994 Slade Gorton answered the call. Federal legislators Dicks and Gorton are both attorneys trained and experienced in the law. 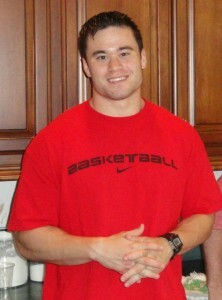 Slade Gorton is a former Air Force JAG. Former U.S. Senator Slade Gorton served as both junior and senior senators from Washington State at different times. A graduate of Columbia Law School, he also served as Washington’s attorney general during the 1960s. Viewed another way, Rick Grant’s name was now added to the list of Tailhook flag officers going to abuses of power and criminal misconduct. Dicks and Gorton pleaded with SECNAV Dalton himself to review [Fitzpatrick’s] case and provide their offices with a comprehensive evaluation of my allegations. Dicks and Gorton said again they wanted a new court-martial convened, manned by an independent panel to hear my case, absent Bitoff’s and Grant’s illegal influence. One week after Dicks’ and Gorton’s letter to Dalton was electronically transmitted and mailed, Ed Offley published his article in the Seattle Post-Intelligencer (Thursday, 21 April 1994). Offley’s report was made available in that day’s edition of the Pentagon’s Early Bird. Another Tailhook was in the mix, only it’s bigger than Tailhook. Two days later, on Saturday, 23 April 1994, four-star Admiral Mike Boorda relieved Frank B. Kelso as Chief of Naval Operations. Kelso stepped down from his job months early under extraordinary pressure because of the Tailhook scandal and other embarrassments including Offley’s article published just two days before. The no-notice change of command ceremony was held aboard a cloistered Naval Academy reservation, in Smoke Hall, in the bowels of Bancroft Hall, with no press allowed. Four days later, the Seattle P-I’s editorial board published an editorial dated Wednesday, 27 April, entitled, “naval probe [is] needed in [Fitzpatrick’s] discipline. This editorial also made it into print for flag officer review; your review, for instance, in that morning’s Early Bird. Into the frenzied fracas bravely charged Ronald Joseph “Zap” Zlatoper, (then) three-star Admiral, Chief of Naval Personnel and Deputy Chief of Naval Operations (Manpower, Personnel, Training & Education). The Seattle Post-Intelligencer’s 27 April editorial created a frenetic atmosphere, to be sure. I can see it. I can hear it. I can feel it right now. Folks assigned to your Bureau of Naval Personnel and Rear Admiral Grant’s JAG office sure enough pulled all-nighters to cobble together the memo you sent to CNO Boorda and VCNO Arthur the next day (28 April). You generously quoted, and consequently own the forgery of my name Bitoff and his buddies inserted into the official court-martial record as my confession. Bitoff’s design in ordering the creation and entry of the bogus, forged confession into the court-martial record was to deflect serious attention away from any post-trial examination or scrutiny my case might enjoy. Bitoff found it necessary as well to render false charges which he and his gang made against me to appear meritorious and righteous. Rick Grant is the first uniformed officer known to have used the counterfeit confession as Bitoff and his staff officers intended it to be used. You, sir, are the second. I can attest with solid assurance that you and Grant knew what you were doing and were possessed of the necessary criminal intent in the conduct of your affairs. In this I rely upon my observations and experiences regarding the criminal antics of the “Tailhook” admirals and generals. You, Grant, Bitoff, and all the others are cut from the same sailcloth. Quashing federal legislators’ Dicks’ and Gorton’s insistent demand for an independent review, and in the wake of Tailhook, your declaration to Boorda and Arthur became the Navy’s official and classified obstructing position. It was as my confession that you represented the counterfeit writing to Chief of Naval Operations Mike Boorda and to Boorda’s Vice CNO Stan Arthur in your close-hold, secret internal memorandum dated 28 April 1994. Undeterred, as we’d expect, Derek Vander Schaaf pressed Grant to unearth Zeller’s 1989 Thanksgiving Day communication. Zeller’s memo came to public view on 8 July 1994. Vander Schaaf, now bloodied and battered in Tailhook, instantly realized the forgery’s evidentiary significance as proof of criminal activity. DODIG recognized the part which Navy-Marine Corps TJAG Rick Grant played in the outlaw adventure and witnessed his attempted concealment. Vander Schaaf turned Zeller’s memo over to Senator Murray who in turn sent it to me in July 1994. 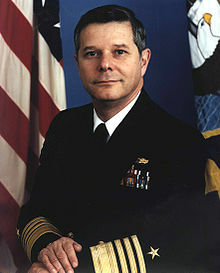 In a separate move, Vander Schaaf named Grant as an interested party in a felonious enterprise and requested guidance on how to proceed against him as a criminal suspect by petitioning Assistant Navy Secretary for Manpower and Reserve Affairs Frederick Pang in a letter dated 8 July 1994. So, as of mid-July 1994, Senator Slade Gorton, Rep. 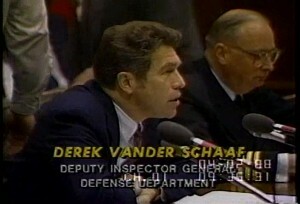 Norm Dicks and Defense Department Inspector General Derek Vander Schaaf had called out Rick Grant as a criminal actor based upon proofs and evidences available then. A press report and editorial sounded the alarm regarding the need for independent scrutiny and new court-martial. Fred Pang, emboldened and buoyed by the successful bulwarks constructed defending against Tailhook villainy, ignored Vander Schaaf’s warning and took no action against Grant. Pang joined in your policy declaration to Boorda and Arthur. Then Mike Boorda declared my case closed. A month passed during which Bitoff sent Boorda a written statement regarding Bitoff’s handling of my court-martial. Bitoff’s statement to Boorda remains unreleased to the public, guarded and classified to this day. But the case wasn’t really closed. It just lay dormant. While you and the rest never looked back, I’ve never stopped looking. All the while the forgery grows in magnitude. Your direct criminal connection to the forgery grows ever more serious. Folks holding down the fort began to leave the scene of action. Mike Boorda shot himself on 16 May 1996. You retired on 7 November of that year. Rick Grant retired in 1997. All the time I continue to apply pressure from every angle of attack I’m able to advance. 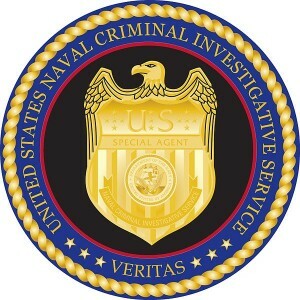 Importunities to Defense Criminal Investigative Service federal agents working out of the mid-Atlantic field office in Crystal City, Virginia in March 1997 led to the involvement of senior NCIS agents stationed at the Washington Navy Yard. As a direct result of your certification that the name applied to the questioned document was really my signature, and based upon your use of the criminal instrument as an authentic writing, the NCIS, now green-lighted, moved out aggressively to come after me. I did not know at the time that I had Grant and you to thank for the confidence NCIS agents displayed as they forcefully asserted that I was the guy who authored and signed the letter of reprimand response. I knew about Bitoff and his criminal allies. I did not know about you. On 3 April 1997, with you, Grant, and Boorda gone, NCIS Deputy Director Gerry W. Nance initiated, finally, a serious investigation into the forgery, but it was I who was the main object of the law enforcement effort. Nance warned me that NCIS agents were confident I signed the document in question myself. They (he) “knew” I was just using the guise of forgery as a device to get them to look more closely and carefully into the 1989-1990 court-martial. Nance promised me that should I continue to insist the response to the letter of reprimand was forged, NCIS agents were going to find it, prove the signature genuinely my own, then force my return to active duty to stand before a court-martial once more. After that, no one could find the original of the court-martial record, never mind the forged confession. April, May, June, July and then August. There’s a nationwide search under way looking for the record. On 5 September 1997 I went to the Pentagon JAG office to talk to Rick Grant’s replacement, John Hutson. Captain Don Guter intervened, backed me into the passageway, and shooed me away. Later that afternoon, as occurred on 27 April 1994, there was a panic; an alarm sounded and folks scurried to general quarters stations to prevent any possible disclosure of the forgery. Which is to say it makes you look really bad. NCIS Deputy Director Ernie Simon additionally wrote that a forgery worked to prove my earlier protestations regarding the scurrilous, criminal adventures of by this time so many flag officers and their subordinates. Just days ago a Marine Corps officer intimately involved in the chain of custody maze came forward only to make the travel history of these original papers muddier and murkier. However, they were found and exhumed. NCIS Special Agent Richard Allen instantly identified Marine Corps Captain Kevin Anderson as the culprit in the forgery of my name. So as to prevent making the Navy, or the Marine Corps, or you or any other flag officer connected in crime “look really bad,” NCIS Director David L. Brant closed the forgery investigation on 3 February 1998. That’s how you dodged a bullet in 1997, just the year after your retirement. Six months later, in June 1998, Navy Secretary Dalton gave Bitoff’s former staff JAG, Tim Zeller, a clean bill of health, once more standing upon the foundation you’d built with Rick Grant. To be sure, the reason the NCIS (or NIS) didn’t investigate the forgery or other criminal allegations beginning in 1990 was because of the intended impenetrable obstructions of men such as Bob Kihune, David Bennett, John Bitoff, Leon Schachte, Rick Grant, many admirals and generals, and you. That populates a very long list of admirals and generals. Your April 1994 policy statement to Mike Boorda, holding up a known and reported forgery as an original writing, successfully accomplished much in the effort to run the clock. Grant and you declared the questioned document to be a genuine article bearing my true signature. By so doing, he and you joined in the commission of a criminal act. CNO Mike Boorda and VCNO Stan Arthur embraced and adopted the Zlatoper-Grant joint declaration and rendered it the official policy of the Navy-Marine Corps in all things related to my court-martial. By so doing, Boorda and Arthur joined in the commission of a criminal act. The Boorda-Arthur-Zlatoper-Grant policy stands strong today, undisturbed, notwithstanding the fact that the fake confession is a forgery, a genuine, proven criminal instrument, the court-martial panel is a proven rig, and the Zeller-to-Bitoff memos have become the stuff of legend. Years passed as proofs and evidences of Bitoff’s rigged court-martial continued to mount. Still, arrogance and pride blinded senior military governors from doing the right thing, knowing they’d been caught rigging a court-martial, knowing that a growing number of admirals and generals who’d wrestled with this animal were known criminal actors. 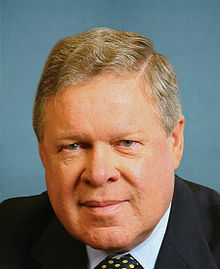 I met with Representative Dicks in his Washington, D.C. office on 14 March 2001, the day after testifying before the Cox Commission hearings at the George Washington University School of Law. I briefed Dicks on new developments and on my testimony from the day before. After two weeks’ consideration, Dicks wrote to both Navy Secretary Pirie and to FBI Director Freeh, complaining once more about my rigged court-martial, focusing special attention on the crimes of perjury and forgery. During a December 2006 interview, caught unexpectedly in that moment that a deer runs into the headlights unguarded, Zeller gave himself away when confronted with his clandestine memo stream exchange with Bitoff. Until then, Zeller didn’t know his surreptitious missives had become public. Zeller hung up on me after reading me the Riot Act, but as I went back to writing, the phone rang again. “Did you talk to anybody at JAG?” Zeller demanded. I told him that I’ve talked to a lot of people, that this was the culmination of months of research. I explained that I wasn’t in the business of ruining people’s lives or careers, and that this information had dropped into my lap during an investigation into the misconduct behind the Pendleton 8, Haditha, and Airborne cases. I again offered him the chance to come on the show and talk about the accusations, but he refused. “You even check your facts? You need to check your facts,” he kept saying. “I’ll tell you, if you think this case was mishandled, I could tell some stories…I’ve been a defense attorney, too.” He paused, then, letting the unspoken hang. Release of many of Zeller’s illegal communications with Bitoff from 1989-1990 combined with your internal memo to Boorda and Arthur from April 1994 were blocked, remaining under seal until 28 July 2001. More evidence is being withheld even now. I’ve regularly reported Navy-Marine Corps Judge Advocate General Rick Grant as the flag officer who has done more to cover up Bitoff’s rigged court-martial than any other uniformed officer involved. I name you as a flag officer holding the number two position. Hear me. Hear me now. Hear me carefully. Hear me clearly! What you’ve done is very deeply personal! My dad passed away when I was very young. I had to learn about him growing up reading history books. My father fought in World War II. He was assigned as a medical officer aboard USS COLE (DD – 155) as part of a suicide assault force invading Safi Harbor, Morocco from the sea to the south and east of Casablanca on 8 November 1942 during Operation Torch. Walter Francis Fitzpatrick, Jr., Medical Corps, U.S. Navy, was awarded the Bronze Star with “V” for valor, the highest award combination for valor available to doctors serving on the battlefield. For medical officers, the Bronze Star “V” represents the Medal of Honor. LCDR Greg Palmer, my dad’s commanding officer in USS COLE, was awarded the Navy Cross. 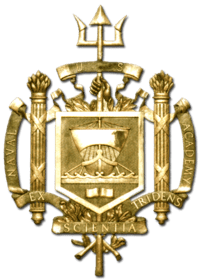 I attended Annapolis because of my dad and am a distinguished military graduate from the Class of 1975, graduating third in the class for leadership. In his attempted simulation of my name,, Captain of Marines Kevin Martis “Andy” Anderson betrayed his criminal act by failing to add the Roman numeral “III” generation suffix. Anderson also misspelled my name. 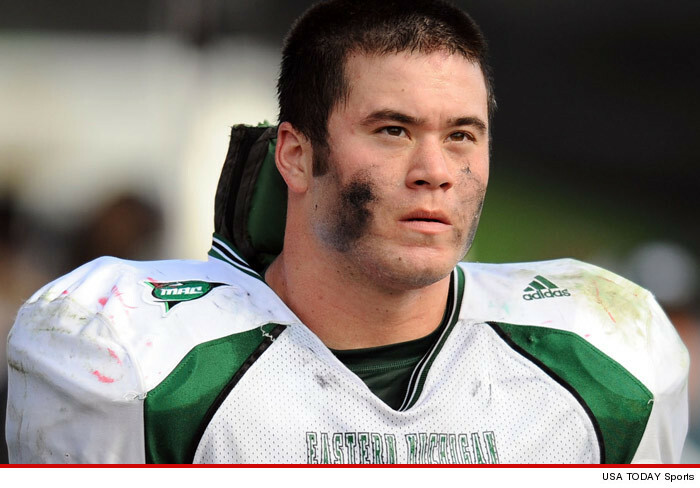 Whatever anyone else might say, I assure you I know one reason why Mike Boorda took his own life. Boorda died just a few feet away from where Anderson’s forgery of my father’s name and the forgery of my name was being secreted and hidden aboard the Washington Navy Yard. Boorda took his last breath holding a gun in one hand and a cat of nine tails in the other. Ol’ “Zap” Zlatoper had a part in it…holdin’ a whip in your hand, too. I bear the scars and stripes to prove it! I set out writing this open letter days ago thinking I’d cleverly bait you into a dialogue posing the questions why my character didn’t count before. Why it didn’t ever count. I caught myself in the folly. This was never about my character. It’s always been about the lack of yours. Which is to say that character content was never your concern. You, Boorda, Bitoff, Arthur…you all knew what you did. You all knew what you were doing. None of you cared. That arrogance and pride thing again. Going back over dates and times, reorienting myself once again, I’ve come back to suffer a situational awareness I experienced so many years ago. It’s time for you to come forward to publicly claim your crimes, condemn them, and atone for them. I want my name back, sir! It has recently been discovered that there is no appointing order for a man who allegedly served as foreman of the Monroe County grand jury for at least 20 years, nor any evidence that he was ever sworn in as required by the Tennessee Rules of Criminal Procedure. No identification for Gary Pettway can be produced by the Monroe County clerk’s office. The alleged current grand jury foreman’s first name is misspelled, perhaps purposely. Court personnel are aware of it, and similar “errors” have occurred multiple times in the Tenth Judicial District of Tennessee. OBAMA’S TREASON: ORLY TAITZ TALKIN’ TREASON AT THE POST & EMAIL! TREASON in AMERICA: Illinois’ Suzanne C. Short wrote her letter! WELL DONE Suzzane! Who’s next? Through many tedious months while our Government has been held captive because of the fact that Barack Hussein Obama has held the office of the presidency illegally thus, portraying as our president when in fact, he is not eligible to hold the office of the Presidency of our great country, the United States of America. Through these months I have written letter upon letter pleading with our CIA, FBI, the Senate and Congress of our U.S. government and the Department of Justice to employ the necessary means to remove Obama and all of his appointees from said positions. He has shamed our country to the extent that no other person holding the office of the presidency has done….however, we all know he is not a legal president of our great country. This explains why he has committed criminal crimes against our treasured constitution, he has displayed more and more that he represents terrorism, thus our enemy. However, this conspiracy was not accomplished by him alone. The accomplices now through much evidence involves many within the U.S. Senate and Congress and unfortunately, since complaints have been distributed to the FBI and the CIA with no reply, we are forced to admit that this conspiracy against our great nation involves many branches of the government. Below you will view a letter written to the CIA on June 16, 2011. Also, will also view facts pertaining this conspiracy regarding many within the U.S. Senate and Congress. Moreover, there is an article from the Canada Free Press that I hope will be of assistance to you. My complaint, however, must entail the entire Legislative Branch, for they have avoided information and letter upon letter regarding this pinnacle of pinnacle travesties that has been committed against our country, our constitution and every American Citizen and legal Alien. Our U.S. government through all evidence acquired is under attack by foreign powers. Now, it is up to our state officials to proceed according to all lawful procedures to assist every American Citizen in taking back our country. Attorney Alvarez and Attorney General Lisa Madigan, please demonstrate your loyalty and honor to our founding fathers and please demonstrate your loyalty by upholding your oaths of office to protect and defend our Country’s Constitution regarding every situation and circumstance that one may encounter. Every American Citizen is honored to possess the responsibility to uphold their Constitution, however upon taking an oath of office, one is even more honored to have pledged their allegiance formally toward their great nation. Please do not dismiss me as I have been dismissed in the passed as an individual beneath you….we are all “ONE” in unity as portraying allegiance toward our great nation. 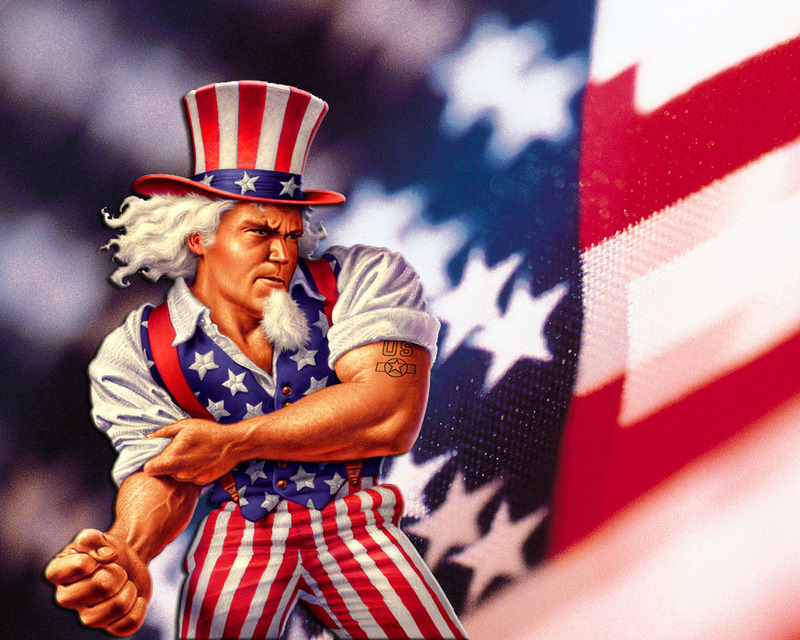 Please do not dismiss me as a so-called “Birther”….We Birthers are Patriots in its highest degree and form…..our objective is to fight for our country’s dignity, honor, loyalty and the protecting and defending of our constitution. Abuse and criminal offienses against our Constitution from all our elected officials, Federal, State, and City and Local must not be tolerated. So far, all of our elected officials have taken part in destroying our Constitution, ultimately, our great country. Our country and our Constitution deserve the Best of the Best, nothing less will do for our country to be renewed, restored, and to prosper. This Corruption, Fraud, and Forgery and Treason, and Terrorism must cease to exist. Since the Judicial Branch has also committed treason by not protecting and defending our Constitution regarding the many suits filed pertaining to Obama and his ineligibility to hold the office of the presidency, and furthermore, there is also a complaint pending a decision against Obama regarding the Social Security Fraud, obtaining S.S.N. from the deceased and from a state that he never resided in, Connecticut. I had to include with sadness a complaint against our Judicial Branch. The distraught and disgust lies in the fact, that how could anyone honestly and with patriotism serving within our government for one moment desire a person to hold the office of the presidency who is not only ineligible, but who has been involved with ACORN and other socialist and terrorist groups that have only one thing in mind, TO DESTROY THE REPUBLIC, THE UNITED STATES OF AMERICA. This sadness that I experience every passing day for our country, I would hope if one is a true Patriot that this sadness is being experienced also, for sadness will breathe joy, if the reasons for the sadness are resolved……These reasons for my sadness and every true patriot’s sadness must be resolved in order for our country to regain its prestige and honor and steadfastness…..this will only occur when the enemies from within and without are conquered. I am including information from articles that hopefully will be your guides in helping you seek more information if you are needing it to pursue with the proper lawful procedures regarding these complaints. TREASON on Twitter! TREASON in America: WELL DONE to Kristy Lonestar! campaign just a day or ago. Kristy is doing what she can to stir up the state and federal Grand Juries in San Diego (where Kristy lives) and more widely throughout the United States. TREASON COMPLAINTS ANYONE CAN WRITE: CLICK HERE!